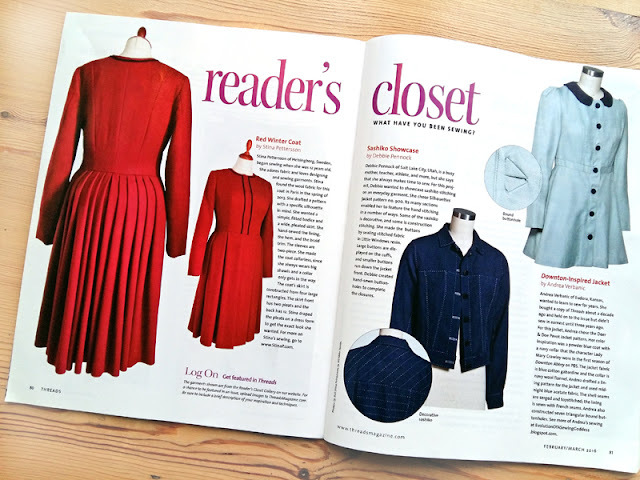 I've finally seen my coat in print! Threads kindly sent my a copy that arrived the other day, and I've carried it around since. Kind of. In case you want to read more, just scroll down one post to The ruby red coat in Threads, where you get links to the posts on making the coat. Congratulations! Enjoy this moment! It's always interesting seeing your work and your fabric splurges :) From a long-time lurker on your blog, Emma. Congratulations! You really deserve this, the coat is so Special. Thank you - so kind of you! 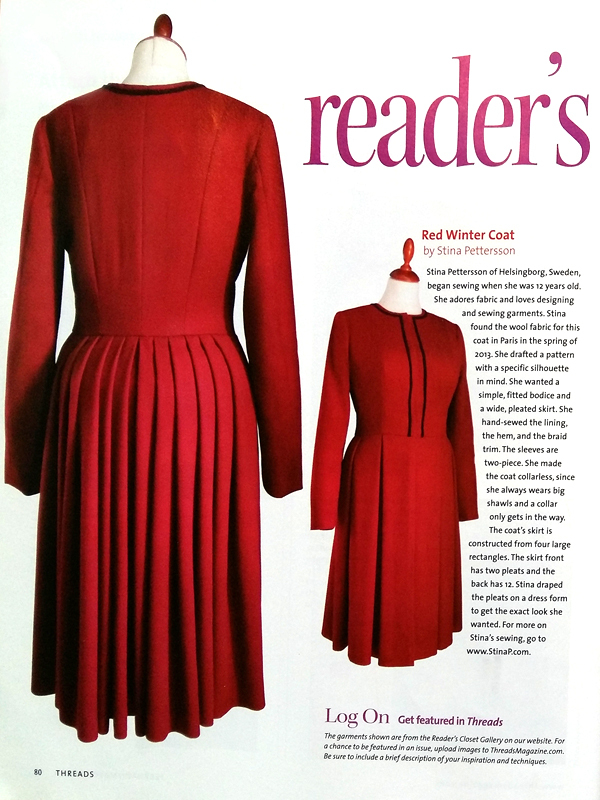 I had to check out your website after reading about you and your red winter coat in Threads. What a beautiful seamstress you are! I look forward to reading more from you and seeing your work in the future. Thank you, that's so kind of you! And feel very welcome; I hope you'll enjoy my blog.